While spring is often a joyous time that ushers in the sun and warmth, it is also the time of year when some of our least favorite pests such as: Ants, Wasps, Yellow Jackets, Carpet Beetles, Cockroaches, Gnats, Mosquitoes and rodents begin to stir once again. With mosquitoes being a primary concern. These blood-thirsty, disease-spreading pests seem to be everywhere once early spring rolls around, and they don't go away until the fall. While it can be extremely difficult to fully mosquito-proof a home, here are a few ideas to help reduce the chances of getting bitten by mosquitoes in your own home. The first thing you'll want to do is ensure all doors, windows, and screens are in proper working order. Look for mosquitoes in areas such as between windows and blinds, under tables and desks, corners and any dark areas. Vacuum up or remove all the mosquitoes you find. Remember, do not use camping-style/outdoor bug sprays indoors, as improper use of these sprays can be unhealthy to humans. 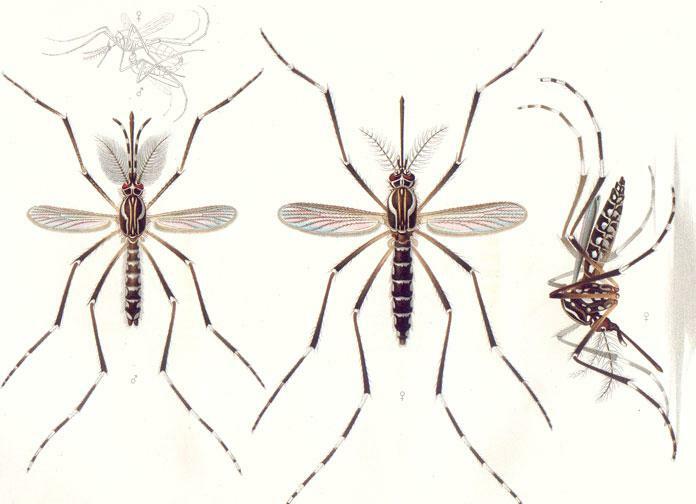 Mosquitoes need water to exist, and with the weather warming up they can complete their life cycle in 7-10 days! To learn more about Ants, Wasps, Yellow Jackets, Carpet Beetles, Cockroaches, Gnats, Mosquitoes and Rodents, contact us at Direct Hit Pest Control. Our team of pest control experts would be happy to help you find the perfect solution to whatever bug problem you may have. To learn more about our pest control services or to request an estimate for pest control in the Sacramento Valley give us a call at (916) 992-6870 today.